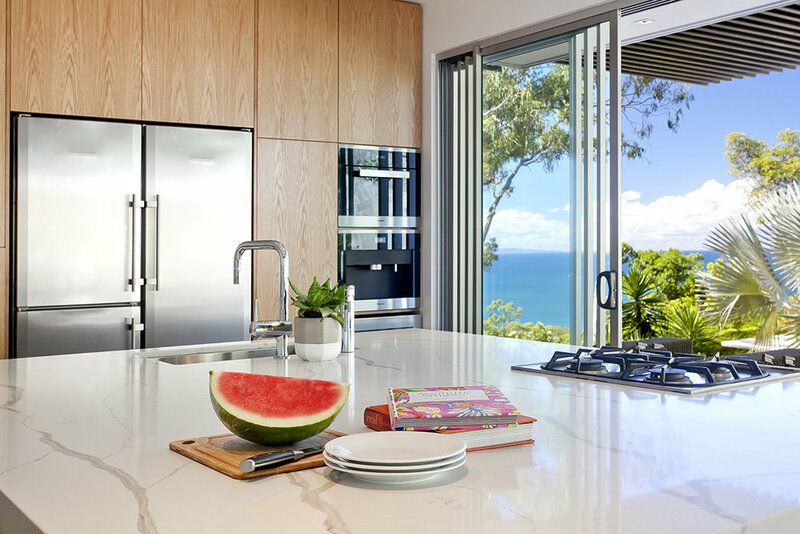 A stunning holiday home in Noosa required a kitchen refurbishment with a more usable floorplan. 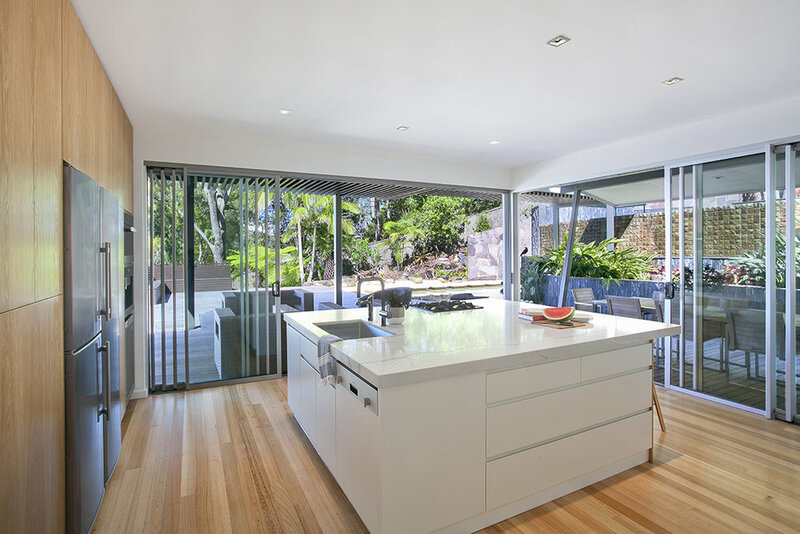 The two island benches were removed to make way for one large island, making it a statement centrepiece. New custom cabinetry and benchtops reflect natural light allowing the beautiful views to be enjoyed.